Gordon E. Skeels was born December 9, 1935 to Clarence Err and Ruth Alice (VinGee) Skeels in Palmyra, New York. He entered into eternity on January 23, 2019 after a lengthy illness. Gordon attended and graduated from school in Palmyra, New York at the Palmyra-Marcedon Central School. In 1953 he joined the New York National Guard and belonged to the 105th Brigade Headquarters Company and was there for two years. During that same year he married Sharon Allen and they had two children, Pamella Jean and Sherili. They moved to Fresno where they later divorced in 1962. Gordon then married Carole June (Dotson) on August 14, 1964 in Madera and they were married for 48 years. Gordon joined the Madera City Police Department in 1962 where he moved rapidly through the ranks. In May of 1964 he was made Sergeant; promoted to Captain on January 1, 1970 and promoted to Chief on June 13, 1972. He also served as an Interim City Administrator. He retired in on December 30, 1992 after 19 years as Chief of Police. In the fall of 1965 he and his wife joined The Church of Jesus Christ of Latter-Day Saints. Gordon had many opportunities to serve in the church including a mission with his wife Carole in the Nashville Tennessee Mission. He and Carole also served in the Fresno Temple for 10 years as ordinance workers. 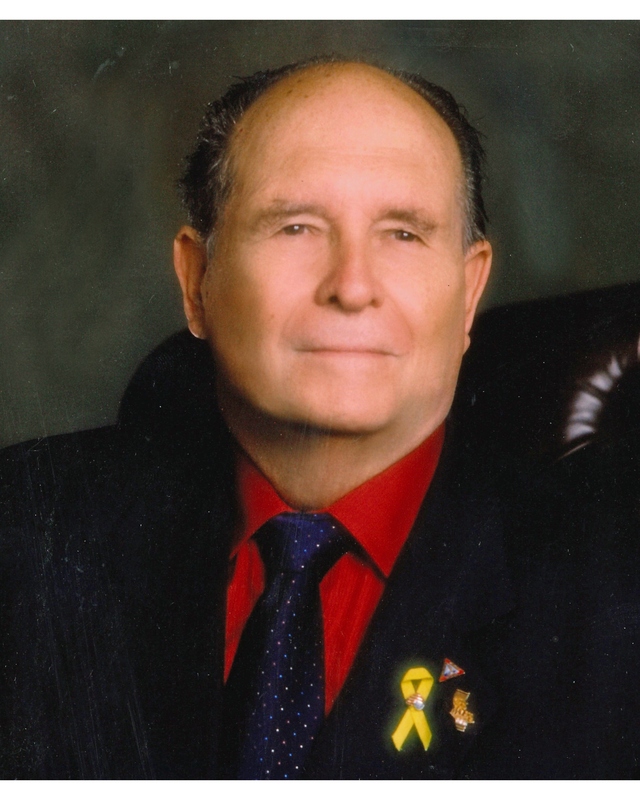 Gordon served the community of Madera for many years including helping to form the Madera Peace Officers Association (1969) and served as its first President. After retirement, he was voted onto the Madera City Council for two consecutive terms, served on the Madera Transportation Commission and served as Mayor twice. He loved being a public servant to the citizens of Madera. Gordon will be remembered as a strong and valiant father, grandfather, great-grandfather and a servant of the people. Gordon is preceded in death by his wife Carole June (Dotson) Skeels, twin son Calvin Blaine Skeels, parents, Clarence Err & Ruth Alice (VinGee) Skeels, brother Lester Fredrick Skeels and his sister Eleanor (VanDelinder) Skeels and his son-in-law Jeffrey Myers. Gordon is survived by his daughters, Pamella Jean Moore and her husband Dale of Texas, Phyllis Waechter and her husband Josef of Utah, Terri Carr and her husband John of Missouri, Sherili Jones and her husband Chris of Nevada, Jamie Myers, Claudia Griffin and her husband Todd of Utah, a brother Dean Skeels of South Carolina, 20 grandchildren and 36 great-grandchildren. The family would like to extend a special heartfelt thank you to the Med Techs; CNA’s and rest of the staff who took such wonderful care of our dad while he resided at Cedar Creek Senior Assisted Living for the past four years. You treated our dad with such love and respect and your kindness will never be forgotten. He loved you all. There will be a viewing from 2:00 PM – 8:00 PM at Jay Chapel in Madera and funeral services will be held at The Church of Jesus Christ of Latter-day Saints 2112 Sunset Ave, Madera, CA 93637 with interment to follow at Arbor Vitae Cemetery in Madera. All are welcome to all services.